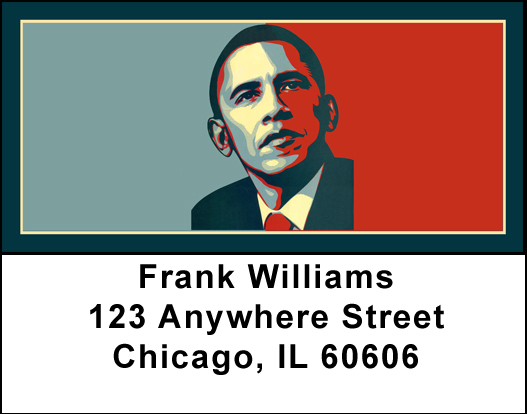 "Obama Red and Blue Address Labels" product is already in your cart. Obama Red and Blue Address labels feature the 44th President of the United States edged in blue on one side and red on the other. The colors in the American flag have specific meanings. The red signifies hardiness and valor, blue signifies vigilance, perseverance and justice, and the white signifies innocence and purity. Obama Red and Blue Address labels are self adhesive. Matching checks are also available.